This Milan Concealed Thermostatic Valve will compliment any modern bathroom suite, offers thermostatic showering via two easy-to-operate controls for temperature and flow. 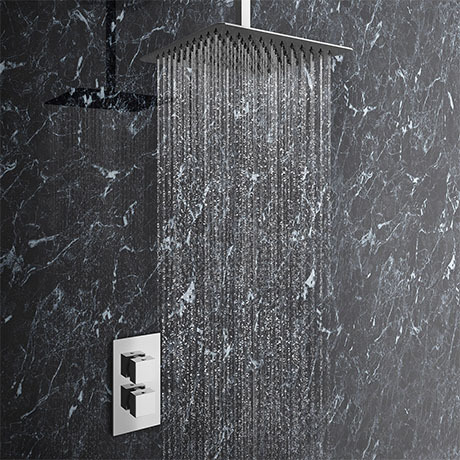 Supplied with a ultra thin square shower head with arm, it's minimalist design looks great in any setting. Our range of Showers are ideal for renewing the style of your bathroom affordably.